A Parisian police officer, a French educational adviser and a Montreal police investigator were among the last witnesses for the defence in Luka Magnotta’s first-degree murder trial, which is now in its ninth week of testimony. Defence lawyer Luc Leclair is expected to wrap up defence testimony later today. The last few witnesses gave brief testimony — a change from the majority of the defence’s case, which was dominated by psychiatrists who spent several days in the witness box, describing in detail their respective reports on Magnotta’s mental state. From his early 20s, Magnotta heard voices like a radio in his head, and felt there were cameras watching him and people spying him, the court heard from several doctors. A common theme was a fear the government was after him, several witnesses testified. The heart of the defence’s argument was testimony from Dr. Marie-Frédérique Allard and Dr. Joel Watts, both forensic psychiatrists hired by the defence after Magnotta's arrest to assess whether he is criminally responsible for the crimes he has admitted to committing. He is facing a total of five charges, including first-degree murder, committing an indignity to a body, mailing obscene material, publishing obscene material and criminally harassing Prime Minister Stephen Harper and several members of Parliament. Magnotta has pleaded not guilty by reason of mental disorder. The Crown is arguing the crimes were premeditated. After repeatedly meeting with the accused and poring over piles of evidence and medical records, both Allard and Watts came to the same conclusion — that Magnotta was in a psychotic state when he killed and dismembered Jun Lin, 33, and did not know that what he was doing was wrong. Magnotta told both psychiatrists that he got increasingly anxious on the evening of May 24, 2012, and became convinced Lin was a government spy sent to hurt him. Witnesses testified that, at the time, Magnotta had not been taking antipsychotic medication for nearly two years. But there are differences in what Magnotta told each doctor about what happened the night he killed Lin, with a man called Manny playing a key role in the version given to Watts, but making only a brief appearance in the story Magnotta told Allard. Both Allard and Watts believe Manny may be a real person Magnotta knew at some point, but who became a figure in his hallucinations. Magnotta met Allard much later after seeing Watts, and his psychotic symptoms were abating after consistent treatment, which the psychiatrists said explained the inconsistency. Magnotta’s memory of the night of the killing and the subsequent days is riddled with gaps, and the psychiatrists were grilled by the prosecution on the questions they failed to answer in their reports. The experts responded that many patients suppress traumatic memories to avoid the distress of reliving a disturbing event, with Watts adding that he believes Magnotta voluntarily doesn’t remember certain painful details. 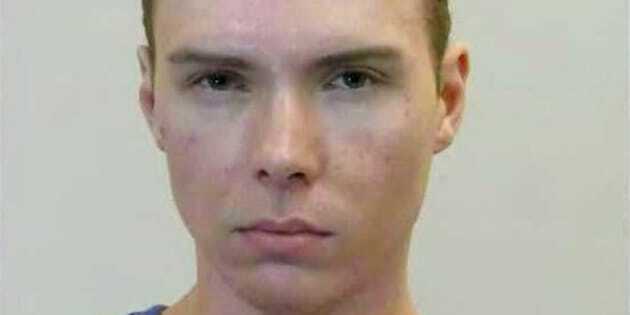 Despite the memory gaps and inconsistencies, the psychiatrists testifying for the defence rejected the idea that Magnotta is malingering, or faking psychotic symptoms. The defence’s case also counted on the German psychiatrist who treated Magnotta for one week at a Berlin prison. Dr. Thomas Barth, who flew from Berlin to testify at the Montreal courthouse, said he believed Magnotta was in a psychotic state, but specified he did not have enough time with the patient to confirm his diagnosis. The accused’s treating psychiatrist at the Rivière-des-Prairies detention centre also stated it was too difficult to clearly diagnose Magnotta, despite his history of psychiatric problems and the fact he displayed symptoms associated with schizophrenia. Defence lawyer Luc Leclair also spent time showing the jury examples of Magnotta’s early life, with details of his first visits to a hospital in his late teens, when he began to complain of auditory hallucinations and depression. Magnotta’s father, the defence’s first witness, painted a bleak picture of his son’s early years. He told the court Magnotta was “mixed-up” and isolated from others his age because of his mother’s decision to home-school her two young sons. The father, whose name is protected by a publication ban, also talked of his own diagnosis of paranoid schizophrenia when Magnotta was 11 or 12, and the effect that his alcoholism had on his family. Magnotta later moved in with his grandmother to escape abuse he claimed he endured from his stepfather, the court heard. The Crown has the opportunity to call psychiatrists as rebuttal witnesses, now that the defence has finished presenting its proof. The judge has told the jury members they could begin deliberating in early December.